While the iPhone X, like all of the plus-sized iPhones, has a large and powerful battery that will be fine for most people, there will always be users and applications that demand more power than the stock battery life allows. For those who need to take that extra juice to go, the ZeroLemon Slim Juicer Battery Case’s 4,000mAh capacity is perfect. This MFi-certified case will double your usable battery life without risks to your phone. 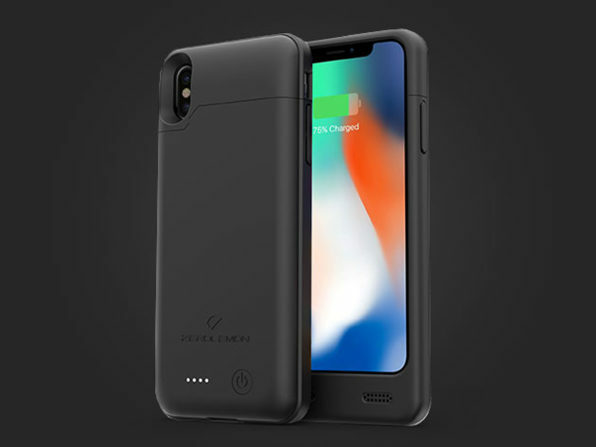 Our Deals site is selling ZeroLemon’s 4000mAh MFi Slim Juicer Battery Case for the iPhone X for $39.99. This is 55% off the retail price of $89.99.